Autumn on the Black Brook is from Newhall’s residency on the East Coast. Black Brook is a tributary of the Ausable River, which runs through Adirondack Park in New York. 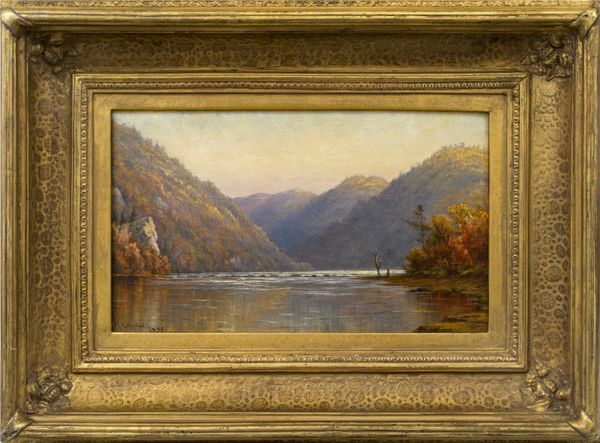 Newhall depicts the waterway as if the viewer in standing within it, with the watery expanse stretching across the whole of the lower canvas. 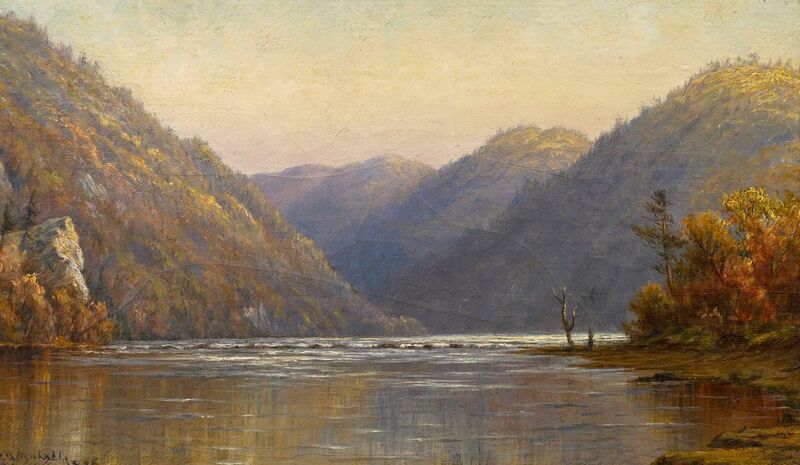 Newhall was particularly known for her sensitive depictions of sunsets, a talent that is evident in this canvas. The quiet scene of the brook running through the mountains, as if cradled amongst their peaks, is bathed in a warm autumnal glow. The artist’s sense of perspective is equally impressive; the details of the trees and rocks located on the peninsula in the lower right corner juxtaposed with the ghosts of mountains in the background communicate the vastness of space for which the Adirondacks are known.